For the ultimate smooth shaving experience, rub Ultimate Brushless Shave Cream White Eagle onto your face. A thin layer is best and will prevent a clogged razor. This formula truly moisturizes your skin as you shave, unlike soap-based shaving creams, which can dry skin out and sometimes lead to razor burn. Contains Menthol and Camphor to give your skin the cooling effect it needs and craves post-shave. For sensitive skin, the Ultimate Brushless Shave Cream Blue Eagle formula contains Aloe to soothe your skin against the impact of a razor. 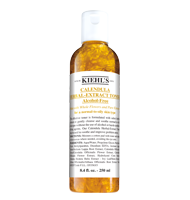 This superb formula also utilizes both Castillian Olive Oil and Sesame Oil to help soften the skin by replenishing its moisture and essential vitamins. Men's skin is thicker than women's skin, which makes it harder to for men to maintain proper facial hydration. Facial Fuel provides ample hydration and combats the dull appearance of surface skin with ingredients like Caffeine and Soy. Waken dull, fatigued skin and leave it invigorated, energized and revitalized with this everyday moisture treatment for men. For hydrating and re-energizing results but with the added benefit of sun protection, try Facial Fuel SPF 15. Directions for Use: To invigorate fatigued skin, apply to a clean face in the morning. To refresh throughout the day, reapply as desired. 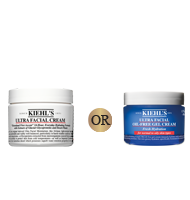 For dry skin types, a facial moisturizer may be applied on top of Facial Fuel Energizing Moisture Treatment for Men. 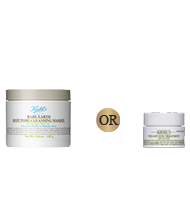 Facial Fuel Anti–Wrinkle Cream helps to defend skin against the signs of aging, surface wrinkles and loss of firmness. Made with Chestnut Extract and Soy, this formula helps skin feel stronger and appear firmer, while decreasing the appearance of facial wrinkles and lines. 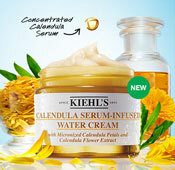 This cooling, easily–absorbed formula helps combat the look of fatigue and leaves skin feeling hydrated and refreshed. To simultaneously treat signs of aging and minimize enlarged pores, we recommend Facial Fuel Transformer Age Correcting Moisture–Gel for Men. This lightweight moisture gel instantly moisturizes skin, reduces visible fine lines, and at the same time, minimizes enlarged pores. 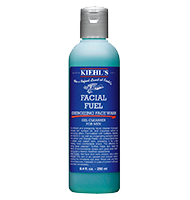 The refueling formula also helps improve skin's smoothness and fights the first signs of aging. 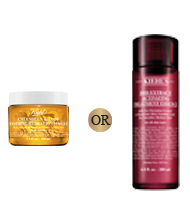 These stylist favorites are key to creating and managing your desired hair style. 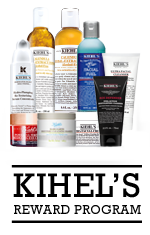 For men's hair styles, always start with a small amount of styling product and continue to add more as necessary. Creme with Silk Groom has developed a cult following through the years amongst customers, editors and professional stylists. This fan favorite is ideal for dry to very dry and medium to coarse hair, as it moisturizes and conditions hair for optimal styling. 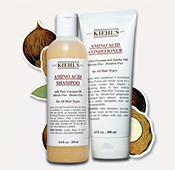 It's non–greasy and leaves hair smooth and protected. For modern, changeable styles on short to medium hair, Malleable Molding Paste allows hair to be molded into multiple shapes and styles with medium, long–lasting hold. After application, hair remains malleable, allowing re–styling to match a change in mood. Clean–Hold Styling Gel is best for medium–strength hold on everyday styles. 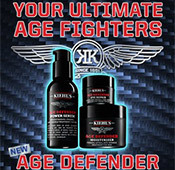 This non–greasy gel provides long–lasting hold and manageability without flaking or drying out. Also great for slicked–back looks. To properly clean a man's rougher, thicker skin, we recommend the fan–favorite Ultimate Man Body Scrub Soap. This highly efficient scrub soap is made with sloughing and soothing Bran, Oatmeal and Pumice and thoroughly cleanses skin and facilitates the exfoliation of dead surface cells. Cross-Terrain All–In–One Refueling Wash is a versatile energizing wash that thoroughly cleanses hair and body without over–drying, and also effectively conditions hair. This formula contains coconut–derived cleansers and soothing Aloe Vera — as well as an invigorating blend of Menthol, Vitamin E and Citrus oil for a refreshing, tingling sensation and clean scent. Cross-Terrain All–In–One Refueling Wash can also be used as a shaving aid, making this all–in–one wash a favorite for gym bags, traveling and the man on the go. Protect yourself from perspiration and body odor with Superbly Efficient Anti–Perspirant & Deodorant Cream. This gentle cream leaves skin soft, soothed and conditioned but without residue or white marks. 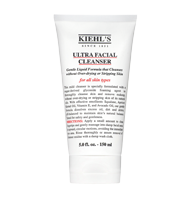 Key ingredients include Aluminum Chlorohydrate — a gentle yet effective aluminum salt frequently used in anti–perspirants — and Witch Hazel, extracted from the leaves and twigs of the Hamamelis Virginiana plant, and known for its skin softening properties. Formulated for the driest, most active hands, Ultimate Strength Hand Salve forms a glove–like protective barrier against moisture loss. This heavy–duty moisture treatment is a thick, rich formula that stands up to severe dryness caused by heavy industrial work, manual labor, weight–lifting, neglect, or exposure to harsh elements. 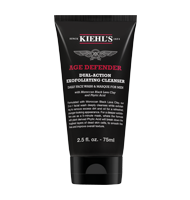 Apply liberally to clean hands to protect and repair dryness. For best results, reapply to hands after washing. DOES LACK OF SLEEP CONTRIBUTE TO DARK CIRCLES? There are many causes of dark circles under the eyes. 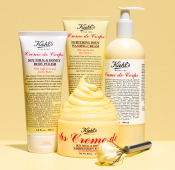 According to Kiehl's Consulting Dermatological Expert Dr. Adam Geyer, fatigue, along with dehydration and environmental stressors, can affect the fluid balance in the body and blood flow in the area — leading to prominence of the underlying vascular bed and theorized slow blood flow through the capillaries. However, there can be several contributing factors in any given individual, including genetics, epidermal melanin, age and allergies. 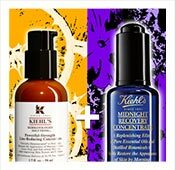 Kiehl's Tip: To treat and reduce puffiness under the eyes, Facial Fuel Eye De–Puffer is a lightweight cooling, de–puffing eye stick formulated with Caffeine and refreshing Arctic Root to minimize puffiness and to help revive and awaken tired eyes. The formula glides on easily and provides an instant cooling effect, and the convenient and portable packaging makes this a great product for any man on the go. To treat all signs of eye–area fatigue, including dark circles and puffiness, we recommend Eye Alert from the Facial Fuel collection. Eye Alert is the ultimate solution after a long flight or long night. 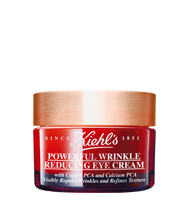 The formula is made with cooling Cucumber and Alfalfa Extracts to energize and hydrate the thinner skin of the eye area. Its potent blend of Vitamin E and Caffeine fights fatigue as it helps combat dark circles and puffiness, and with regular use, skin in the eye area appears strengthened and the look of fine dehydration lines is reduced.